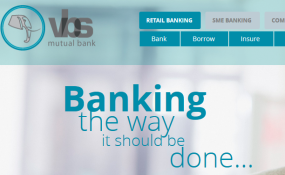 The VBS Mutual Bank website (file photo). What drove the regulator's decisions? The decision to go to court and ask for VBS to be liquidated six months later followed evidence that came to light as a result of the forensic investigation. The report showed that the bank had been subject to massive fraud. It was incumbent on the regulator to take action in the light of this evidence. As argued in the application, the regulator believes that the damage done to the bank is irreparable. And that it can't be saved. When a bank is put under curatorship, the curatorship provides tools and instruments to manage the bank's liquidity and its operations to save the bank, to put it back on a sound footing and to protect depositor funds. The idea is that the bank can be nursed back to health. But the law states that when the registrar of banks is of the view that the bank is insolvent, they are legally obliged to go to court to apply for liquidation. This does not mean that the bank cannot be saved. But it does mean that the registrar is of the view - based on all the available evidence - that the bank is insolvent and probably can't be saved. That is, that the probability of the bank being saved is limited. The decision to apply for liquidation was made on the basis that the Prudential Authority believes the final winding-up of VBS is in the best interests of all parties. It paves the way for two things to happen. Firstly, it will allow a liquidator to use the insolvency law and the Companies Act to effect recoveries - in other words to protect people who had deposited money with the bank. And, secondly, it will mean that the recommendations of the investigator into the affairs of VBS can be followed. Nevertheless, the National Treasury has issued a guarantee that will ensure that 97% of retail depositors will be covered. That guarantee will remain should the court agree to the bank's liquidation. Mutual Banks are very different to commercial banks. The three main differences are that they tend to be smaller, that some types of deposits in mutual banks qualify as an ownership stake in the mutual bank and lastly that they're not regulated to the same standard as commercial banks. Because they don't carry as many risks, the regulatory framework governing them is substantially lighter. But the events of VBS have shown that supervising small banks requires more resources. This is true even though the failure of a smaller bank won't necessarily lead to systemic risk - it won't pose a threat to the entire banking and financial services sector. But the risks still need to be managed better.